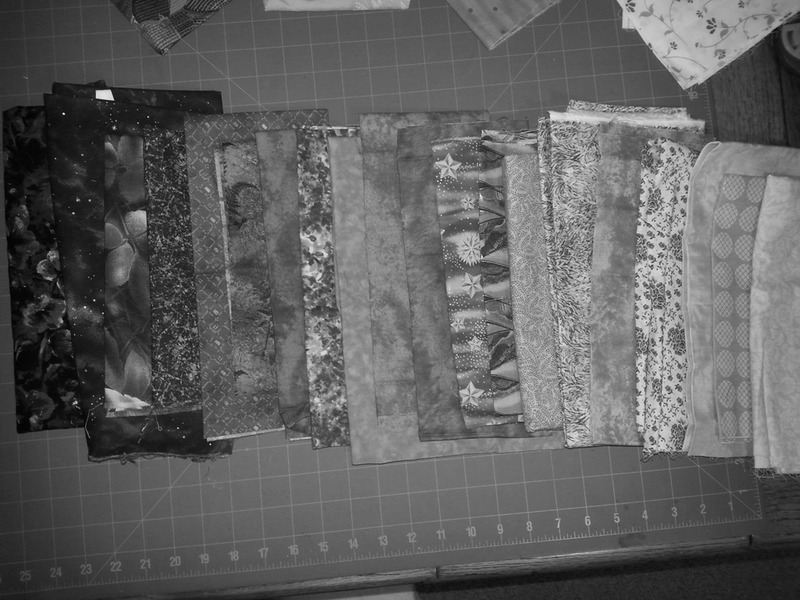 I am truly amazed ..
At how much fabric 3 little boxes can hold! In a last ditch effort to not have to pull all the boxes of books out the closet again, I went to the basement to dig through some boxes there – well I found 3 boxes – included in which was my fabric dyes and paints *happydance* Definitely happy to find those! 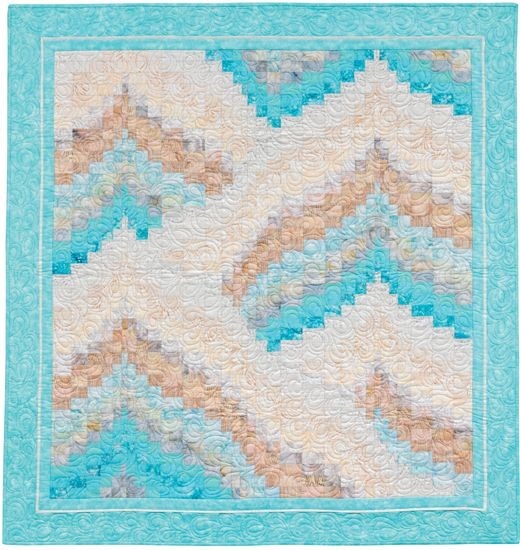 No books though – I really wanted to work on a convergence quilt – even went so far as to see if there was a Kindle version on amazon for it .. nope – hardcopy only – that’s okay .. I’ll find those books .. eventually!! I didn’t realize how long I was upstairs working on this. I decided on my colours – then the fun began – playing with values. My ruby beholder is still MIA – but my cell phone does take black and white pictures. I did pretty good – just minor tweaks here and there – I’m still not to sure on it and decided to walk away from it and look at it with fresh eyes in the morning – I’m thinking that the lighter blue needs to go, I want it for the piece it’s next to – but it’s just not going to work – so out it comes … I need 20 pieces of fabric for this quilt – there are some prints that I love and can’t wait to use, but they really aren’t suitable – good thing I had all that water colour fabric kicking around, plus my hand dyes. 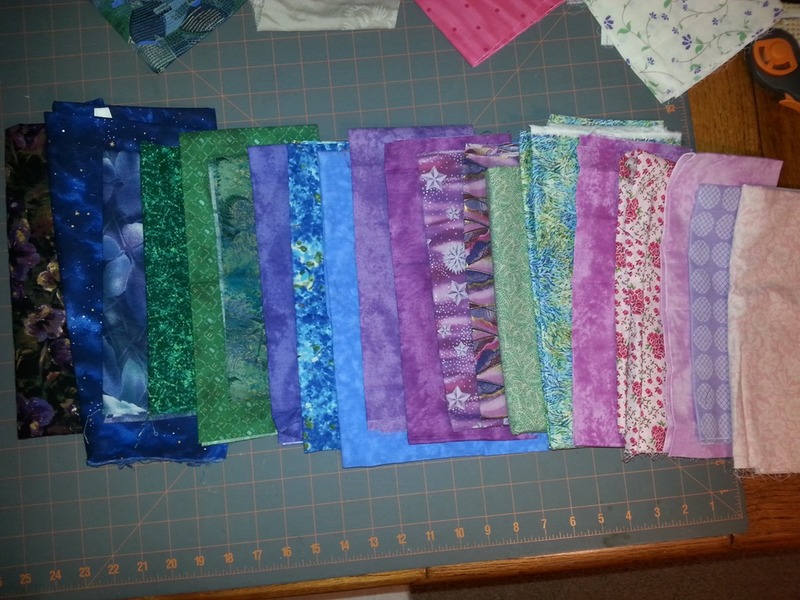 Michele Foster at Quilting Gallery is doing a candle mat swap. Been ages since I’ve done a swap and I’m so looking forward to doing this one! You get a swap partner so you’re only making one for your partner – no heavy production of tons of blocks – I really like the way that Michele does this – with partners communicating direction with each other – this is going to be a blast!